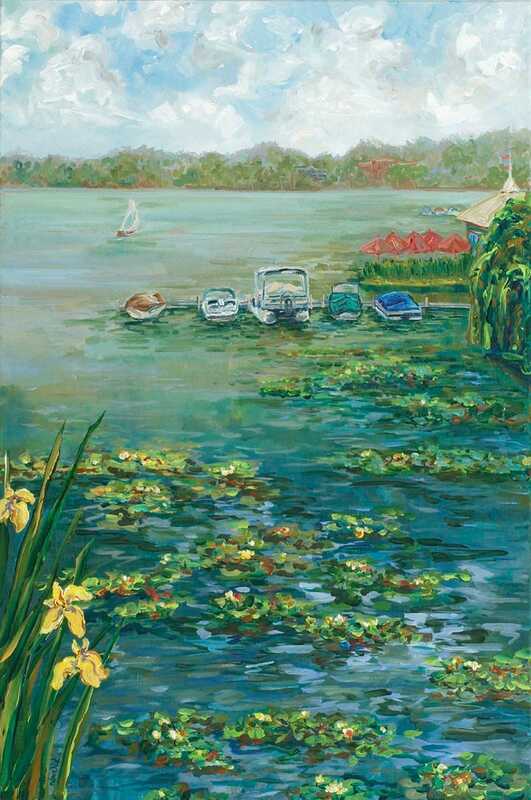 This piece was inspired by many visits to beautiful inland lakes around Michigan! Ever since I was a little girl I have loved Claude Monet's waterlily paintings and in creating this piece I was aspiring to be like him! Your choice of a high quality giclee on fine art paper or gallery wrapped canvas. More sizes available upon request. All prints ship for free! See my "Creative Process " section for more details on my printing process. Gallery Wrapped Canvas prices - Gorgeous, looks like you own the original painting. Comes ready to hang on your wall!